In 1926 at the swimming pool of Tourelles in Paris, the “Fernez-Le Prieur”, the European made scuba or self-contained underwater breathing apparatus was first demonstrated. The set was composed of a compressed air cylinder carried on the back and connected to a pressure regulator that was manually adjusted. The Fernez-Le Prieur was a constant flow unit and equipped with 2 pressure gauges. One for the tank pressure and the other for the pressure of the air flowing to the mouthpiece. It is the first unit to make diving untethered to the surface possible. 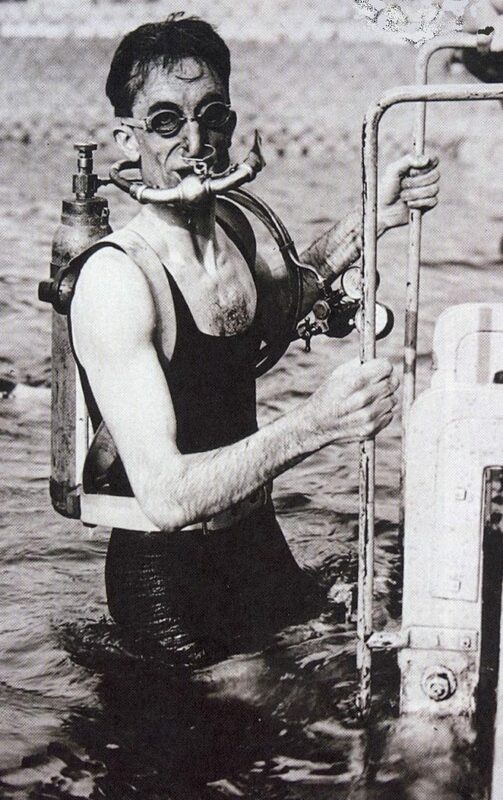 Many people believe this to be the first scuba but in 1918 in Japan, an inventor patented a similar idea.